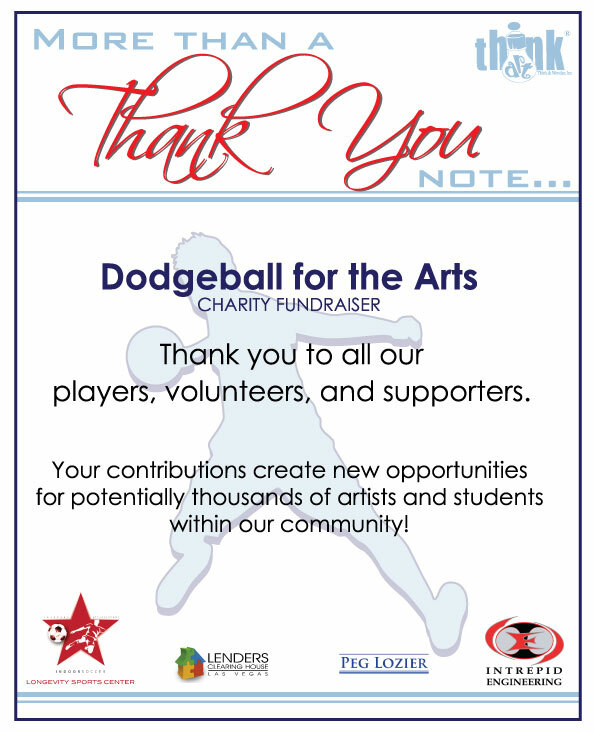 Artful Dodgers: DodgeBall Tournament - Think & Wonder Inc "A Place Where Creativity Can Grow!" CONGRATULATIONS to Raffle Grand Prize WINNER: Deborah "George" Campling! George received 2-nights hotel accommodation at SpringHill Suites Convention Center plus $100 gift card good toward Palettes Bistro & Gallery inside SpringHill Suites. All proceeds from the event is to benefit ThinkArt! education & training programs and exhibitions. Our vision is to offer an open creative network center; support the growth of local artists; and bring together the diverse communities within the city and beyond through art events and activities. More dodgeball media coverage: Dip, Dive and Dodge for ThinkArt!